Car shopping in the Detroit area? Look no further than the new vehicle inventory at LaFontaine Kia. We have a wide variety of models in stock, from the popular Kia Optima to the fan favorite Forte. When you’re ready to take your Taylor commute to the next level, stop by LaFontaine Kia to pursue the Kia models for sale in Dearborn, MI! Why Choose a New Kia from LaFontaine Kia? 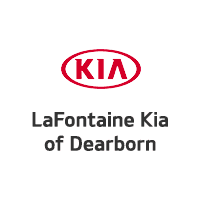 In 1997 LaFontaine opened its first Kia dealership in Dearborn, MI, so we know what Metro Detroit is looking for!